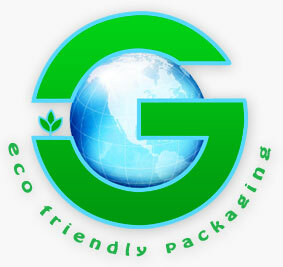 Companies are jumping on the green packaging bandwagon and are focusing on eco-friendly options. Green packaging is a win-win situation for these companies because it’s environmentally friendly and it provides cost savings by tossing out wasteful and outdated materials and techniques. Going green is about trying new things to help save the environment and that is exactly what companies are doing. They are experimenting and finding ways to reduce waste and harm on the environment by producing more sustainable packaging. Walmart has been a leader in searching for greener packaging alternatives. Last year they pledged to eliminate all waste at its stores in 2025 by reducing, reusing, or recycling all materials. Dell has been taking efforts to provide more eco-friendly packaging by trying out packaging materials made from bamboo. Bamboo replenishes itself quickly, making it a great resource for packaging. Amazon has been thinking of ways to rethink traditional packaging. Colorful packaging was originally used for display boxes, with the intention to maximize the visual appeal, which is not necessary for online shopping. So Amazon started offering “frustration free packaging”, a program aimed at reducing shipping waste and difficult to open packaging. They work directly with manufacturers to ship products in hassle free boxes. Other companies such as FedEx and the U.S. Postal Service offer shipping boxes made from recycled materials. Companies are becoming more environmentally friendly when it comes to packaging and have taken different approaches to doing so. The world is full with ways to reduce waste and produce greener packaging.